We teach adults to increase their income through trading and navigating the stock market. Our mission is to develop trading skills that will result in financial success. Confused About the Stock Market? Can anyone learn to trade? No, if you have no discipline, you have no chance. 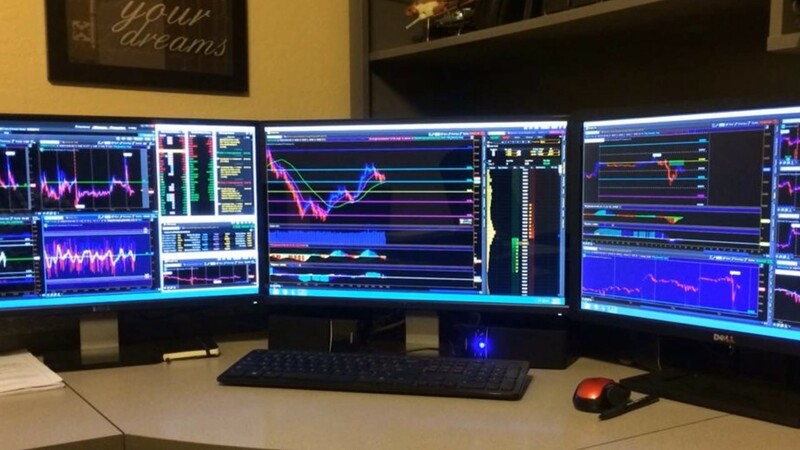 You can learn everything necessary to become a successful trader yet lose lots of money because you didn't follow the rules and implement risk management strategies. Discipline is the key to making money in the market. You're welcome to join the movement. You gotta want it! The first course is FREE! How long do I have to complete each trading course? You will have access to each course for 30 days from enrollment. You can review and go though them as many times as you wish during the 30 days. There’s a completion certificate for each course too. When I first started trading the stock market, I had to jump over a lot of hurdles. I had no idea if I would ever be able to make a living trading. So, I made a lot of mistakes and learned as much as I could along the way, and here I am. Now let me save you the time and trouble of learning the hard way. I’ve helped numerous people get to where they want to go in the stock market. While trading involves risk, and may not be suitable for everyone, I promise you that with your passion and my know how you will have a strong understanding of how the stock market works. I bullied my sister into accompanying me to what my spirit was telling me would be a life-changing weekend seminar. Part of the event was a presentation on learning to trade stock options. As fate would have it, later the presenter and I ended up alone on the elevator headed to our respective rooms. During that short ride, we talked and he opened up his brokerage account app on his cellphone. I knew then, this was for me. My sister and I got the training and it changed our lives. We have both since retired, prior to age 50 and now trade stock options full time. We are committed to clearing the doorways to financial literacy and independence to the masses through lectures and training here at Options Trading University. I started getting interested in trading my last year of college. During that time I read about all the different markets and how they operate, I even signed up for a brokerage account with TD Ameritrade. After that, I started learning the platform and testing different stocks and currencies just to get a feel for it. Several months after I graduated from college, I heard about Options Trading University. I completed the three-day boot camp course because I wanted to learn everything about trading. Since then, my charting, entry points and thought process on how the market reacts have significantly increased. I'm honored to be a contributor to our growing community by being one of the hosts of the Weekly Market Recap.